GRATF stands for Glyph Recognition And Tracking Framework. The project is aimed to provide a library which does localization, recognition and pose estimation of optical glyphs in still images and video files. The library can be used in robotics applications for example, where glyphs may serve as commands or directions to robots. However, most popular application of optical glyph recognition is augmented reality. 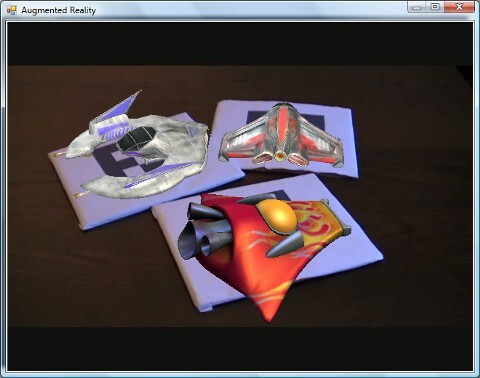 Here are few demos which were made using the GRATF project. Glyph recognition and pose estimation library, which is an extension to AForge.NET framework. The library can be reused in other applications which require glyph recognition functionality. 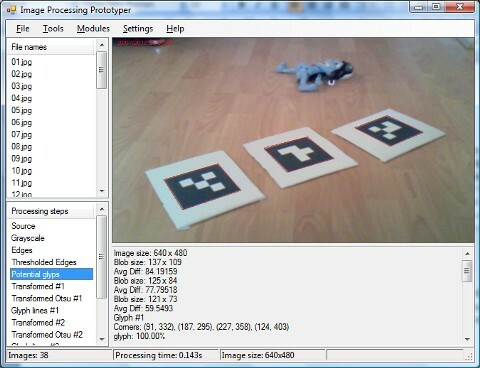 Glyph recognition prototype, which is implemented as a plug-in to IPPrototyper tool from AForge.NET framework. Can be used for demonstrating glyph recognition algorithm's idea step by step or for its further improvement, debugging and testing. Simply open a folder containing images with glyphs (sample images are provided) and see steps of glyph recognition algorithm. 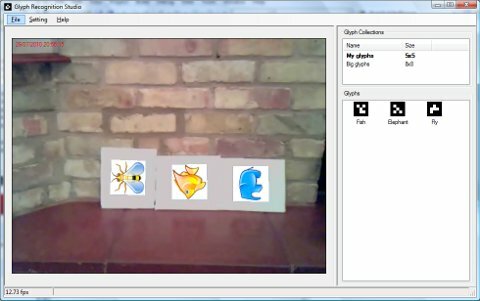 Glyph Recognition Studio - an application which does recognition of glyphs in video streams (video files or local capture devices, like web cameras). Also the application does 2D and 3D augmented reality - puts images into video feed replacing recognized glyphs or puts 3D models on top of recognized glyphs using same pose as real glyphs have - virtual objects in real world. Just define some glyphs in the Glyph Recognition Studio, print them from the application and see how it works with your web camera. To start quickly you may take some sample videos from project downloads. In the case you have found any bugs/issues, please, feel free to register them in the issues tracking system.